LAUNCHING IN NOTTINGHAM – OCTOBER 2018! 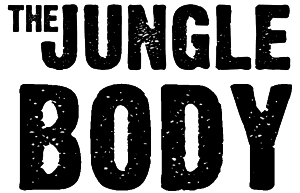 KONGA & JAGUA will be coming to Nottingham this October with 2 fun, Jungle-themed launch classes. These workouts are FIERCE and will guarantee you AMAZING results! KONGA – DANCE . SHAKE . SQUAT . TWIST . PUNCH! KONGA is a fun, FIERCE workout with a fusion of Combat, Cardio, Dance & Sculpting set to the hottest beats from all decades, and all genres. JAGUA – STRETCH . TONE . SCULPT . SQUAT! JAGUA is a great body-sculpting, core-conditioning, balance & stretch workout with simple routines choreographed to a variety of music genres including Pop, R&B, Hip-Hop, Afro & Old-School music. We also have 2 INCREDIBLE introductory offers for you. To view these special intro offers click here. but feel free to bring your own mat! *FREE mat hire for monthly members or with a class pass. For regular news, offers & updates!